Take your party from Ordinary to EXTRAORDINARY! Everything you need to make your party a HIT! Bringing Fun to ALL ages! 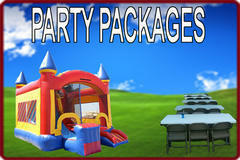 Welcome to Ibb Party Rentals ! Our Bounce house and waterslide rentals will take your party from ordinary to EXTRAORDINARY! Our high quality, commerical grade inflatables liven up any event or party. 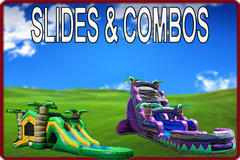 Beat the heat with our bounce house waterslide combo or our MEGA Waterslide. But that's not all, how about a castle for your little princess? 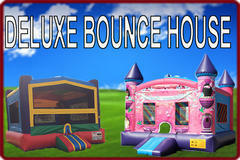 Check out our Deluxe Bounce Houses. Don't have enough chairs and tables to accommodate your guests? No problem! 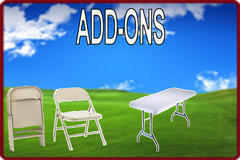 Check out our add on options to solve your seating problems.